Darwin, Sinke & van Tongeren is dedicated to showing the beauty and magic of nature through its flamboyant compositions of Fine Taxidermy. The fact that founders, Ferry van Tongeren and Jaap Sinke, place the name of ‘Executive Director’ Charles Darwin, before their own is a tribute to the great naturalist and geologist. Van Tongeren and Sinke have long studied and marvelled at the work of Old Masters such as Jan Weenix, Melchior d’Hondecoeter and Adriaen van Olen. In the 17th century, these great artists set out to portray the wonder of the exotic animals brought back to Europe by explorers. Today, van Tongeren and Sinke have picked up the legacy of these great artists, determining to create taxidermic art in homage to the skill and passion of the Old Masters. 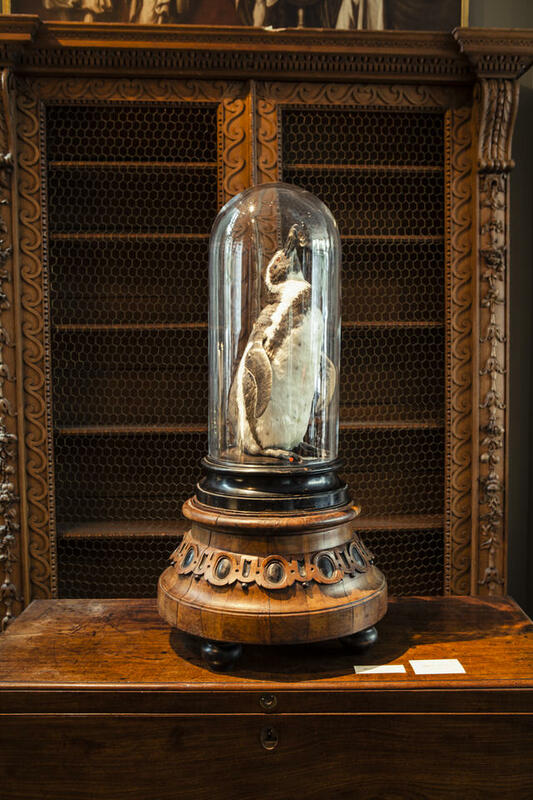 Van Tongeren and Sinke founded their atelier in 2013, launching their first Fine Taxidermy collection, La Vie de l‘Eden, on prestigious 1stdibs.com early in 2014. They met 20 years’ ago while both working as advertising creatives at Ogilvy & Mather in Amsterdam. Van Tongeren later founded his own agency, Doom & Dickson, where Sinke subsequently become a partner. The agency was sold in 2011 and van Tongeren decided on a new career in taxidermic art, a subject that had long fascinated him. He studied the techniques under the guidance of two notable Dutch taxidermists and this led to him working as a taxidermist at the National Museum of Natural History in Leiden, one of the oldest and largest taxidermy collections in the world, where he continues to extend his knowledge of traditional techniques. So passionate was he about this extraordinary change of direction that he persuaded Sinke to also train in taxidermic techniques and join him in this new venture. What drives their creative energy is the respect and love they have for the beauty of nature. They see it as their mission to preserve it in all its glory and to encourage the viewer to look with new eyes at the natural world that surrounds us. Van Tongeren says, “Traditional taxidermy seems a poor attempt to preserve this kind of beauty. We want our animals to look alive, alert and bright with colour”. Sinke adds, “We cherish the patience, perseverance and craftsmanship of past times. 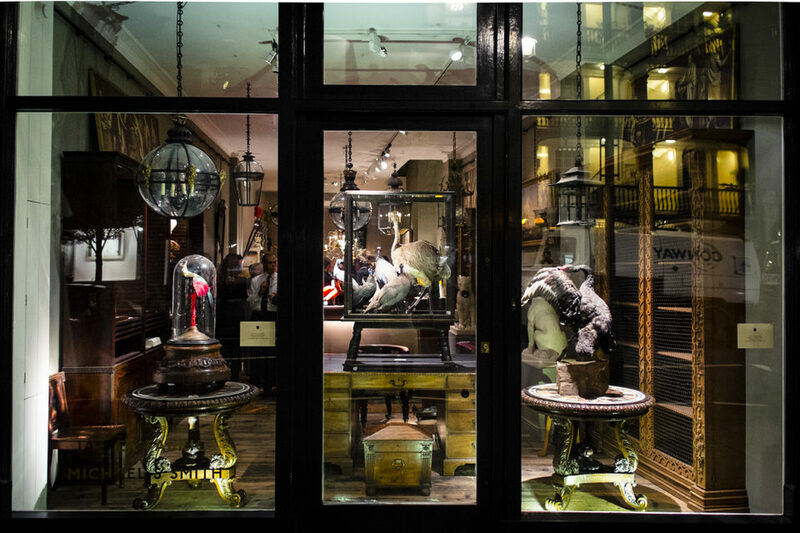 Our Fine Taxidermy is as valid a piece of art as painting, sculpture or contemporary installation. It is our hope and intention that these works will be recognised for the skill, dedication and dramatic effect for which we continually strive”. Prices range from under £1,000 to over £30,000. 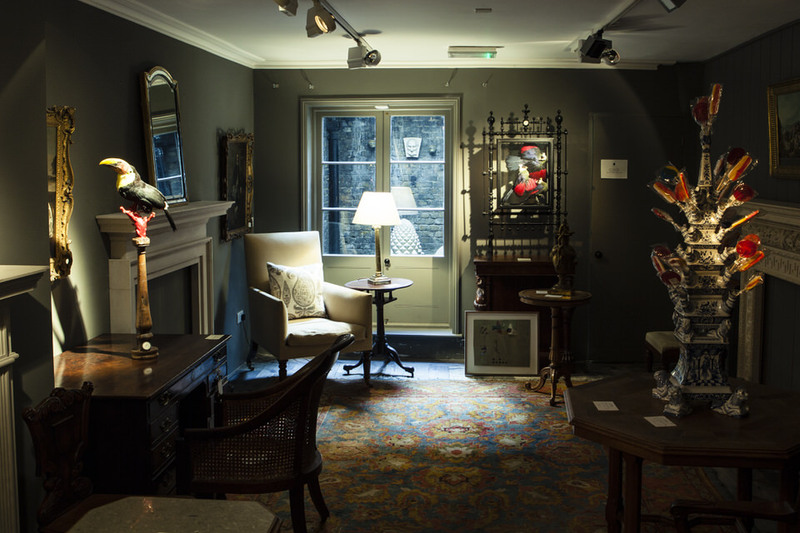 Andrew Molyneux and Harry Triggs of TM Lighting felt an immediate affinity with Darwin, Sinke and van Tongeren’s Old Master taxidermy compositions. 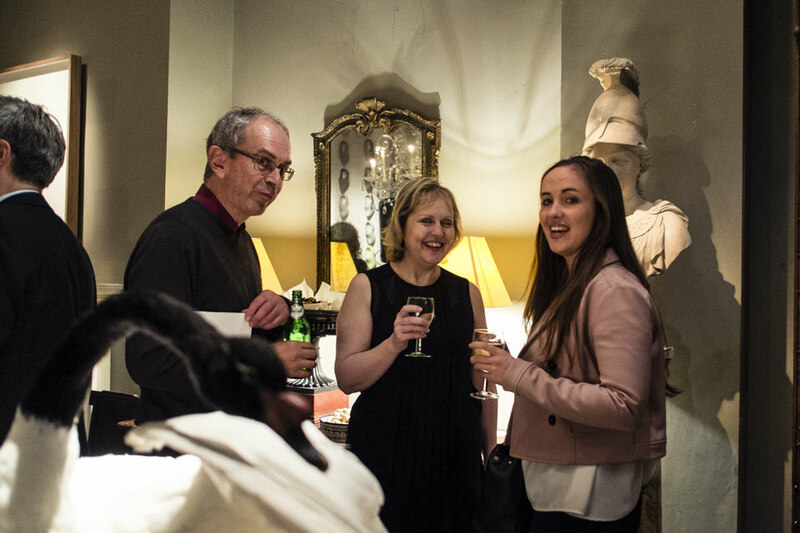 Their mission to provide energy-efficient gallery-standard lighting to a wide audience of art lovers, collectors and the public is a labour of love for these two lighting specialists who are obsessive about art. Using the latest LED technology they have significantly improved light distribution and quality with a new range of picture lights and spotlights that provide a solution to new lighting legislation and tackle the ever important questions of energy saving and environmental impact. Lighting this collection provides an interesting challenge which will see TM Lighting products performing at their best. 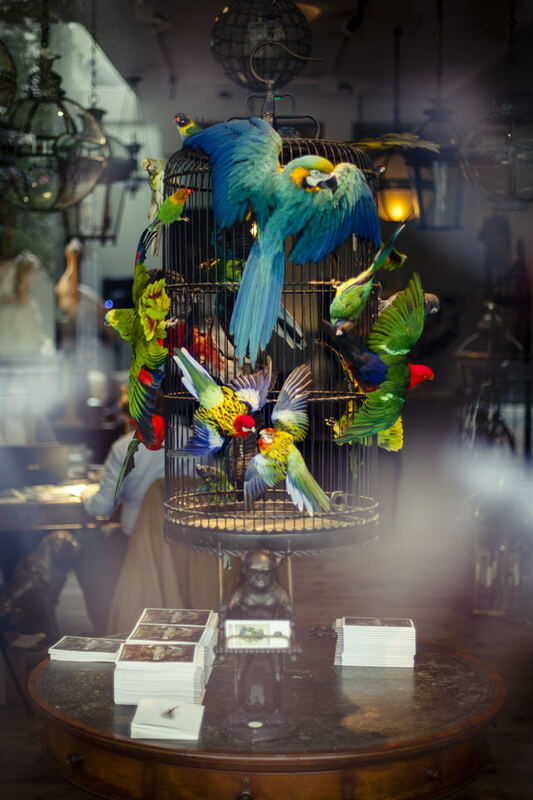 Darwin’s Menagerie Collection, full of flamboyance, colour and form will show how sculpture can be be brought to life by specialist lighting with the correct temperature, balance and warmth. 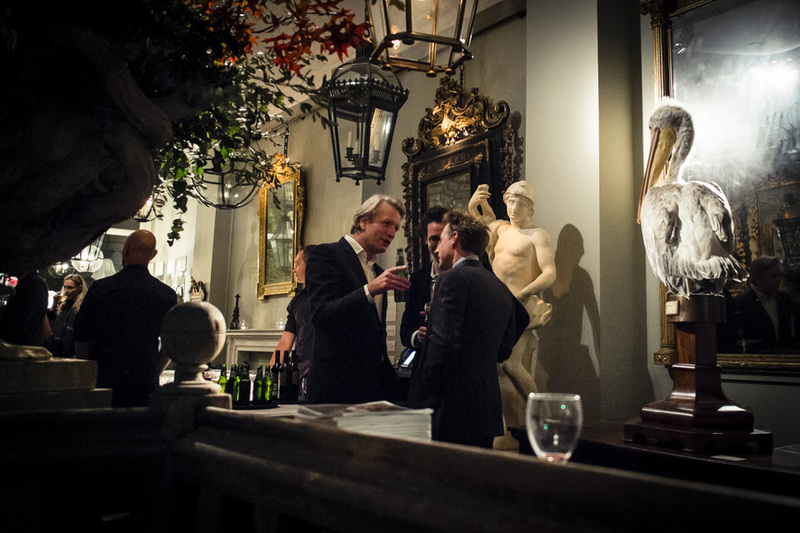 Jaap Sinke says, “We are delighted to have TM Lighting’s involvement for our first major show. Both Ferry and I realize what a difference it makes to the impact and drama of a finished composition to see it in the best possible light”.